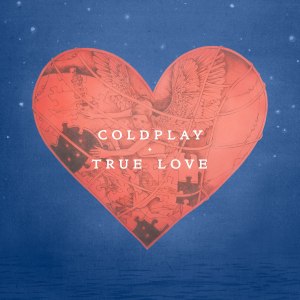 Coldplay has released another visual from their album Ghost Stories, this time around for ‘True Love’. CLICK HERE for my review of ‘Sky Full of Stars’. For this video it did take me a while to fully understand what was going on as I was blindsided by the inflatable suits. Looking past that, the song talks about what true love really is. There’s inflatable girl that wants to be a ballet dancer, but they immediately turn her away. She lives in a trailer. Then theres inflatable guy (Chris Martin) who tried to get on the bus, but was turned away because of his size. He’s a janitor where the ballet is performed. Throughout the video the man dances around as he cleans the stage. Then the lady gets mail with an invitation to a ballet, the same ballet the man is the janitor at..When the lady walked in she was immediately judged and looked at crazily as she sat in the seat. Once the ballet was over she remained in her seat and the man came out and danced around stage. The ended up dancing together and then there was a fast forward to the duo having a ballet show of their own. The overall message that I got was that people are always judged from their appearance. People never know how another person is unless they actually take the time to get to know them. In taking the time to get to know someone you can find if someone loves you for you or for other advancing reasons. Similar to the end of the video there is always someone out there for you regardless of your appearance and that is true love.